Hope everyone enjoyed the holidays! Happy New Year!!! 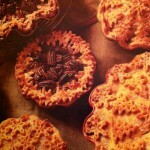 I spotted these lovely piecrust cutters in the holiday edition of Williams-Sonoma’s catalog and was instantly inspired! 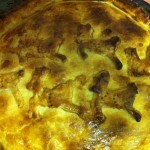 Aren’t the pies just gorgeous with not too much effort even?! 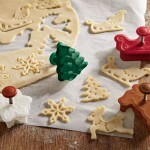 I ordered a set of these holiday cutters and a fall leaves version. I’m going to get back into baking for sure now! Some day I would love to present a pretty pie that I made with any of these cutter sets to a party hostess. 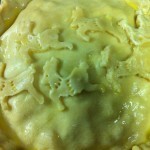 I recently made a chicken pot pie using these charming pie cutters; just couldn’t wait. Tasted delicious besides the few darkened spots on the crust.